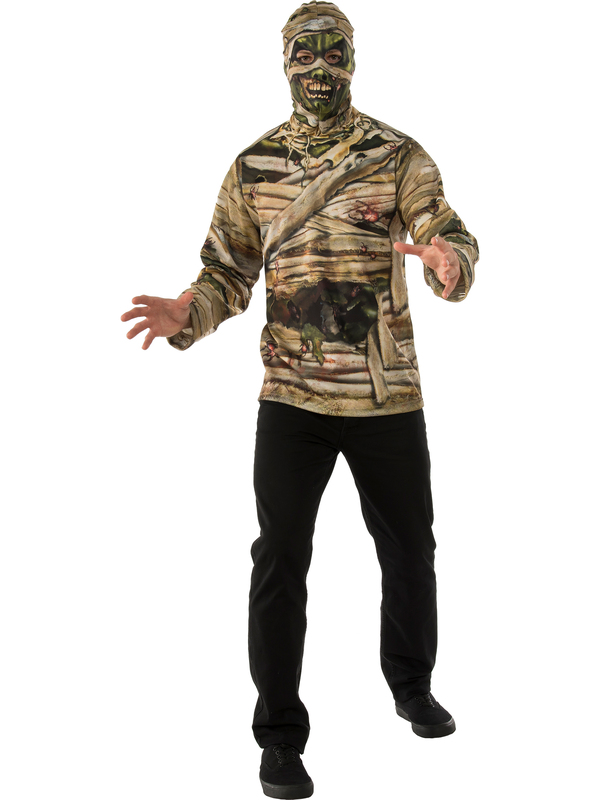 Ditch the crypt and get some fresh air in the Undead Mummy Shirt costume. Stretch your embalmed limbs and get a little Vitamin D after being stuck in a sarcophagus for centuries. The simple top features aged bandages that have done alright holding you together. Bugs have taken liberty to call your body home as they can be seen emerging from your body cavities. An included hood offers not only great visibility for you but also sheds light on your aging skin that has gone a tad green. Tom Cruise’s The Mummy may have given your kind a bad reputation but you can prove mummies are merely misunderstood at the Halloween party. Unwind a bit and get this simple and fun Halloween costume today!